By Okey C. Iheduru, Ph.D.
I’ve decided to feature a guest column. It was serialized for three weeks in my Weekly Trust column, and is written by Professor Okey C. Iheduru who teaches political science at Arizona State University, USA. He was on a two-year sabbatical leave in Nigeria and shared his experiences of Nigerian higher education in an online discussion board called USAAfrica Dialogue Series to which I am subscribed. I thought he made many thoughtful and insightful observations that will benefit Nigerian university teachers and administrators. Enjoy. This essay is a compilation of two postings I made beginning 28 August, 2013 in which I responded to a discussion on the listserve USA-Africa Dialogue Forum occasioned by a Call for Papers by the editor of the Unilag Journal of Politics. The subject of the heated debate was the propriety of demanding upfront payment from prospective authors by a supposedly peer-reviewed journal. In that intervention, I also promised to do a proper write-up of some of my two-year sabbatical/Fulbright and LEADS Scholar experiences, particularly as it concerns higher education in Nigeria. I am a full professor of Political Science in the School of Politics and Global Studies at Arizona State University, Tempe. Given the time constraints I face (especially readjusting to life in America after two years plus the incinerating heat of the Sonoran Desert), this may never happen if I wait for the opportune moment. Consequently, I have decided to post short accounts of my experiences from time to time and whenever time permits. I just completed a 2-year sabbatical/Fulbright Fellowship LEADS Fellowship at the National Defense College, Abuja in Nigeria during which I participated in six (6) National Universities Commission (NUC) program accreditation visits to one federal, two state and three private universities for Political Science and International Relations, Economics and Sociology. I learned a lot about the opportunities and challenges of university education in Nigeria. I’ll never forget many of the exceptionally brilliant students my panels and I interacted with as part of our assignment. Some economics departments have advanced electronic labs for their formal modeling/econometrics courses, while some programs have easily accessible subscriptions to various research databases for their electronic libraries. When time permits, I’ll do a proper write-up on my experiences, more broadly. I would like here to respond to the “Call for Papers” from the University of Lagos (Unilag) that asked prospective authors to also send money. During the accreditation visits (which are really meticulous and rigorous), I found that while quite a number of colleagues are doing serious scholarship, the overwhelming percentage is engaged in what you call “Vanity” journal (and book) publishing. Every department–100 PERCENT–that we evaluated had its own “journal” which is “edited” in-house. Thereafter the authors literally put a gun on the head of administrators to count those “publications” as part of the percentage of scholarship that can be locally published. Even Colleges of Education and Polytechnics have departmental journals in Nigeria–there was a CFP from one of them on this list recently. None of these “journals” is indexed, either locally or internationally; so, colleagues who live/work five kilometres away from the institutions may not even know that such publications exist. Some institutions have been posting some of their publications online to give them visibility and possibly generate citation counts. There are claims (I have no proof; it wasn’t my charge) that some of the articles are plagiarized or may even be exact copies of papers published elsewhere with a new author and institutional affiliation. Sadly, there is no nation-wide outlet to present, publish and/or professionally review recent work in the fields I evaluated since, for instance, the once-famous Nigerian Political Science Association and its journal died following the zoning of its leadership to the North who must have their “turn” at leading the association. A similar fate has befallen many scholarly groups–the Historical Society of Nigeria seems to be one of the few exceptions. Asked why these colleagues shouldn’t be reading and/or publishing in outlets put out by older institutions with seasoned academics with more credible track record, I was hushed down with: “Why should we be reading their own? Why can’t they read our own [journals]?” A PhD is a PhD, I was told, even if it’s awarded by a two-year old caricature of what others know as a university. It’s worth noting that in one state university we visited, of the nine (9) lecturers on the Sociology faculty, six (6) obtained their PhDs (as well as their BSc and MSc degrees) from that very same department. Not only do you smell “in-breeding” you can assume they were also taught and mentored by senior colleagues who rose through the ranks based on publications in departmental journals. Indeed, many colleagues on the Deans and VC ranks today cut their academic teeth in the “Volume 1, Number 1″ syndrome of the 1990s and early 2000s. It’s worth noting, though, that no more than 68 percent of faculty in all Nigerian Universities have doctorates; not easy to produce one, really. It was amusing to find senior lecturers, associate professors/readers and even full professors with 50-100 “scholarly papers” almost 9/10 of which appear in these in-house and other publications. I’m not making any judgment regarding the quality of these publications since I have not read them. Yet, I find the culture very worrisome. Sometimes “books” (especially edited volumes) are published without a clear reason why such a “scholarly book” should be published. I earned some reputation as a snub whenever I explained my inability to honor “Prof, can you please contribute a chapter for my book” requests. Many of these colleagues with very long list of “scholarly papers” have fewer than five (5) citation counts on Google Scholar, if at all they do. Of course, many of us Diaspora academics have relatively very little citation counts. It must be stated that, as at this point, the NUC has not taken up the responsibility to regulate this aspect of academic quality—not sure it should. What are department heads, deans, Senate and vice chancellors supposed to be doing? From our Diaspora stand point, many of these publications are clearly “Vanity” journals and books, but the reality is that it costs a lot of money to publish them. Cash-strapped departments, faculties and/or universities have more weighty priorities. Perhaps, a much better write-up could have been on ideas/strategies to help these colleagues to get out of this morass—many of them teach 3-4 courses of 200-500 students a semester without TAs and get as small as N10,000 a year for academic conference presentations. Any ideas? While Google Scholar and other measures of quality sometimes exclude chapters in edited volumes, it should worry us that an academic that boasts 50-100 “professional papers” cannot equally boast ONE citation count (including the discounted self-citations) on Google Scholar! As I stated in Part 1, more than 90 percent of the CVs I reviewed listed as publication outlets “Volume 1, Number 1” or Departmental journals or self-published books or books whose publishers’ names and addresses are more innocuous and lesser known than the remotest streets in Ajegunle, Lagos or Ekeonunwa Street, Owerri. I concede that “writing for themselves” is not unique to Nigeria, but most scholars elsewhere don’t engage in this kind of massive inflation of output that is clearly indefensible. Each of the six universities I visited had disproportionately more junior faculty (Assistant Lecturers–MA/MSc holders—and Lecturers I & II—anywhere from recent PhDs to PhDs with 3-6 years’ experience; and even master’s degrees with years of experience and/or professional certificates) than senior faculty (Associate Professors/Readers and Full Professors). A few of the Lecturer IIs and Lecturer Is were effective Acting Heads of Department (HODs). Yet, this contravenes NUC’s policy of Senior Lecturer as the minimum for the HOD to be able to provide a modicum of “academic leadership” to the unit. Some of the Assistant Lecturers and recent PhDs were quite good, but a large number were both victims and perpetrators of another form of fraud. In response to the NUC’s directive that the PhD is the minimum qualification for teaching in universities, several new universities have mounted PhD programs, some without NUC approval, even though they lack the resources and capacity (faculty members) to mentor the PhD students—who are mostly their academic staff without the doctorates. Many “older” universities have also expanded PhD enrollments to soak up the demand, even as some departments have upwards of 70 master’s degree students in a department boasting less than four full-time lecturers with PhDs. While some departments (especially in most of the older universities) are still graduating quality PhDs that are garnering local and international awards and publications in some of the most competitive outlets in the world, a large number of the new PhDs are actually “arrangee PhDs.” In some cases, ONE retired professor is hired (often as an adjunct) with the sole terminal purpose of mentoring and awarding the PhD to one or two students—often relatives, pals or concubines of “the Ogas at the top” and/or a favored staff member. Once the deal is done, there is no more PhD program and the old bloke collects his money and goes home, or perhaps to another mercenary assignment. Where the programs exist formally, it is not unheard of for ONE professor to “produce” over 10 doctorates in ONE year. One household name in Political Science has become notorious for serving as SUPERVISOR to several PhD candidates in more than SIX universities at a time! His detractors call his mass-produced protégés “Pure Water PhDs,” but they are all happily teaching in a university near your villages! I politely turned down an offer to supervise a well-connected PhD candidate in one of the universities in central Nigeria. I would have had no other affiliation with the institution. My eldest brother, a former professor at a university in Georgia, USA, had to recall two PhDs already awarded for insufficient work in 2011 as Dean of Postgraduate Studies and later Acting Vice Chancellor at a private university in Nigeria. I have always wondered what the external examiners (the second level of review after the candidate has passed the oral defense at the departmental level) have to say about this madness. But again, if the candidate has to pay the N350,000.00 to N500,000.00 cost of scheduling a doctoral defense (includes transport, accommodation, per diem for the External Examiner; and other incidentals), plus over N700,000.00 total cost of the program (from start to finish), few External Examiners would like to look too deeply and probably rock the boat. A repeat visit is always a consideration. Candidates are often compelled to foot this bill (pending reimbursement by the university via the Supervisor, which may never come or may be misappropriated by the Supervisor) because waiting for the university to provide the funds might mean waiting a year or two more to defend. Besides, if you’re fed up with having to fork out N10,000.00 to N20, 000.00 as “reading fee” for every graduate seminar paper, wouldn’t you gladly mortgage grandma’s grave to extricate yourself from the clutches of your “Profs”? Rigorous external review of portfolios for promotion to professorships is still the norm in most universities, especially at the federal and state universities, although occasional deviations occur. Some private universities also follow this practice, but many are too young for observers to know how that process actually works. 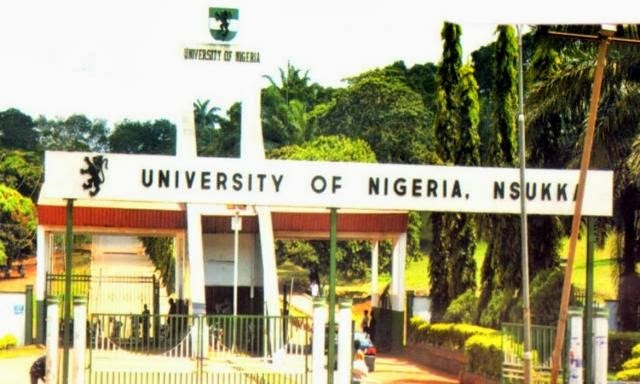 It is known, however, that several private universities are notorious for the tendency of their proprietors to unilaterally promote staff, rather than allow the Senate and/or Governing Council to perform this function. A program can receive a failing or interim accreditation if it does not have the right staffing mix (Assistant, Lecturers, Associate and Full Professors) as stipulated by the NUC, among other indicators. That could spell trouble for enrollment, especially in highly sought-after programs (Law, Medicine, Accountancy, etc.) and consequently for the university’s bottom line. Some proprietors have also dictated the admission of students without requisite admissions requirements (e.g., many of the ex-Niger Delta militants ended up in some private universities as part of the Amnesty Program. I wish Boko Haram lunatics would be amenable to such a treat, despite the headaches that would create for lecturers and administrators!). One proprietor reportedly wondered why lecturers refused to award First Class degrees to students if that is what they wanted. The man understood the “price system” better than the “foolish professors” paid with the students’ tuition! The NUC, of course, frowns at such indiscretions and has not hesitated to sanction the affected institutions whenever accreditation panel’s report such violations. One of the most pervasive but difficult fraudulent practices that the NUC’s Quality Assurance Department (which is responsible for program accreditation) has to contend with is the use of “academic mercenaries” by universities during accreditation exercises. Programs that have been staffed for 3-4 years by an army of full and part-time assistant lecturers would suddenly list full-time and/or part-time associate professors/readers and full professors in order to meet the NUC staffing mix requirements. The worst culprits seem to be the sectarian universities. It is common to find some lecturers (including retirees, civil servants, pastors, etc.) on the payroll (perfunctorily) of two to three universities simultaneously. As an accreditation panelist, you know a mercenary HOD when he/she is unable to answer simple questions about personnel, curriculum, exams, budget, etc. concerning her/his unit. In one university I evaluated in mid-2013, the “Dean of the College of Natural Sciences” happened to be an old acquaintance of mine with whom I have lived in the Phoenix metro since 2004. Interestingly, he told me (perhaps without realizing the riskiness of his flippancy) that he was returning to his “base in the [Phoenix] Valley in two weeks.” A different panel, not mine, evaluated his College. The employment letters of many of the mercenaries, including my friend’s, in the personnel files we reviewed are always backdated by at least six months. While many public and private universities (including those in the United States) will not be able to meet their obligations to their students without these often under-paid and poorly appreciated adjuncts, my concern is the intentional fraud that is being brazenly perpetrated in Nigeria. Sure, NUC should (and does occasionally) crack down more on this practice; but it is not feasible to turn accreditation panels into EFCC hounds, given the mountain of documents and files and the tortuous reports they have to write in two extremely hectic days. These are my thoughts; the good news is that many concerned Nigerians are beginning to focus on the challenges in our educational system. I am happy to be part of the conversation and I welcome any ideas and suggestions for concrete action to stem the hemorrhage. In the name of generations of children.